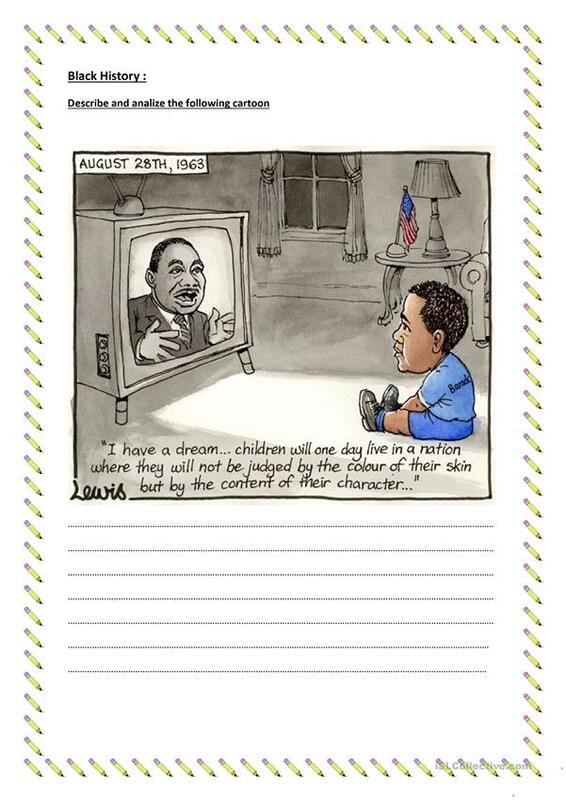 This is one of the cartoon I use to make my students think about the impact of Martin Luther King's ideas on black people as well as Obama's source of inspiration. The above downloadable worksheet is meant for high school students at Pre-intermediate (A2) and Intermediate (B1) level. It can be used for enhancing your students' Speaking and Writing skills.